Leave it to the ingenious ideas of Japanese candy and toy companies like Kracie, Meiji, and Bandai to bring countless hours of hands-on fun for kids and parents alike. Known in Japan as “educational confectioneries,” the DIY candy kits below go far beyond colorful wrappers and extreme flavors, giving chefs-in-training the chance to explore colors, tastes, and textures while developing fine motor skills, practicing patience, and learning how to follow instructions. 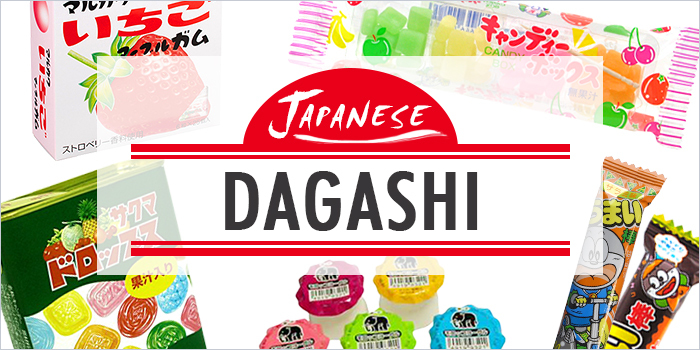 Keep reading to find out FROM JAPAN’s top Japanese candy kit picks that will have your kids cookin’ up a storm! Kracie’s Popin’ Cookin’ is an inventive series of Japanese candy kits that gives kids a taste for creating iconic Japanese cuisine as well as some Western favorites. These culinary-chemistry concoctions use all-natural food coloring and no preservatives, making them a perfect gift for junior chefs. While Popin’ Cookin’s menu of candy meals includes bento boxes, ramen, and more, the sushi kit is an ideal sampler for starters. Mix and mold your own gummy fish toppings, use a liquid dropper to form round salmon roe, and dip your candy confections into the complimentary sweet “soy sauce” to complete your chef d’oeuvre. Kracie’s Colorful Peace series offers a simple spread of candy-creating activities for younger kids including two gummy kits, a melt-and-freeze chocolate set, and a taffy-textured sculpting candy (finally Play-Doh you can eat!). With a little mixing or microwaving, kids can make their favorite gummy or chocolate animals, and for those whose imaginations can’t be contained in a plastic mold, the Sculptor’s Soft Candy Kit lets them design edible miniatures of anything their amazing minds can cook up. A swirl-and-dip treat that has stood the taste test of time, Nerunerunerune has been satisfying the sweet tooth of Japan’s youth for over three decades. The secret of its longevity can be discovered in its simplicity and the magical thrill that comes from mixing powder and water to create a swirl of colors and candied fruit flavors. Scoop up a dollop of Nerunerunerune with the included spoon, decorate with a sprinkling of candy pieces, and savor the whipped-up sugar rush! Japanese candy company Heart anthropomorphizes the most unlikely of objects with its collection of fizz-filled commodes and mouth-watering washing machines called Moko Moko Mokolet and Moko Moko Mokowash. Not only can you personalize these eyebrow-raising candy kits with emoji-like stickers, but by combining the provided candy powder with a little water, an irresistible bubbling brew of flavored foam rises from within that dares you to take a sip. Warning: These miniature appliances are likely to cause dangerous levels of giggling! Whether your kids love Japanese anime, Nintendo, or Disney, Bandai has an assortment of edible activities to match their favorite fandoms. Each DIY Candy Kit features iconic characters from popular series like Super Mario, Doraemon, Pokémon, Yokai Watch, Pretty Cure, Mickey Mouse, and more, paired with sweets like chocolate, fruit gummies, and powdered fizzy drinks. Because a helping hand makes these candy kits all the easier for little tykes to create, they are the perfect chance for you to power up your parenting—and indulge your inner fangirl or fanboy too. Sink your teeth into the milky bliss of Meiji, Japan’s most famous chocolate company, with candy kits based on two of their iconic brands—Tezukuri Apollo and Tsukurou! Kinoko no Yama. Both kits include eight unique molds and three kid-favorite flavors: milk chocolate, white chocolate, and strawberry. Simply heat the chocolate tubes by placing them in a mug of warm water, decorate the molds, cool, and savor your professional looking confections! Your kid will have a ball making “lolli-Popsicles” with Takara Tomy’s Chupa Chups Ice Candy Maker. Insert your favorite Chupa Chups lollipop, pour in warm milk, tea, juice, or soda, and give your sweet a spin in the ice candy gizmo until the lollipop dissolves in the liquid. After chilling overnight in the freezer, patience will be rewarded with super-sized Chupa Chups that’ll have your kid whirling around in circles with every frozen bite. Few confections today are as delightfully charming as chocolate coins with their simple round shape and glimmering foil wrapping. While the candy itself may be a bit understated compared with the other items featured on our list, MegaHouse’s Choco dé Coin will turn even the most unenthusiastic kid into a chocolate coin connoisseur. The pour-and-press machine lets you mold, shape, and embellish your cocoa currency with your choice of 144 possible combinations of designs and colors. Launch your sweet tooth into orbit with Bandai’s KuruKuru Chocolate Factory—a kid-friendly gadget that takes inspiration from zero gravity simulators to create fun 3D chocolate shapes. Designed for ages eight and up, your budding chocolatier will have a blast pouring melted chocolate into one of six molds, inserting the mold into the machine, and turning the handle until the chocolate is evenly coated; a short time in the refrigerator and the chocolate shapes are ready for wrapping in foil. Making your own sweets can be a piece of cake with these kid-approved Japanese candy kits and toys. And with assistance from proxy service FROM JAPAN, you can easily have them delivered from Japan to your door. 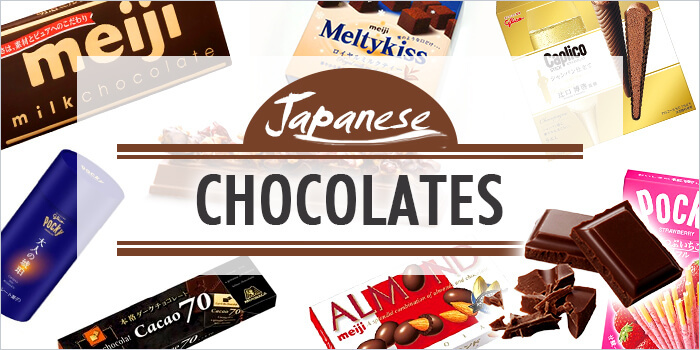 Also, be sure to check out our picks for best Japanese traditional candy and sophisticated chocolates. Pokemon 20th Anniversary: How Will You Celebrate?